A file with the .RW2 file extension is a Panasonic RAW Image file that was created by a Panasonic digital camera, like the LUMIX AG-GH4 or LUMIX DMC-GX85. When speaking of a RAW image file, we're talking about one that exists in the exact same way that it did when it was first captured. In other words, there hasn't been any processing done to the file since it was taken by the Panasonic camera, with the purpose being so that it can later be used with an image editor to adjust the photo's color, exposure, etc. 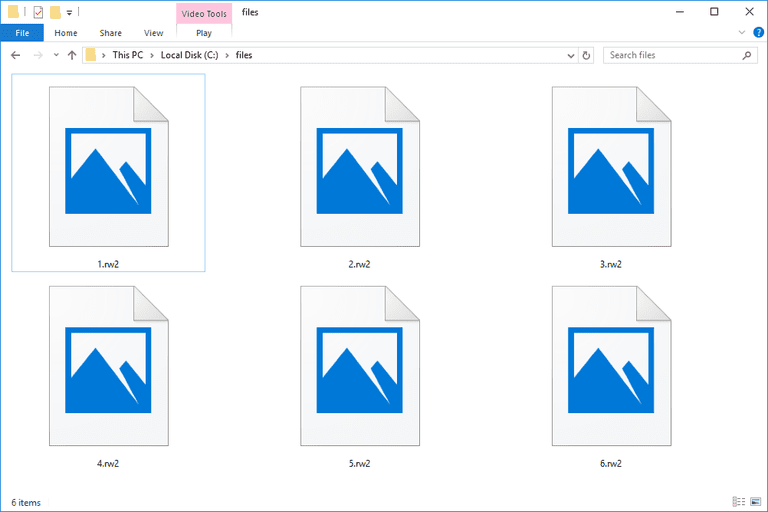 RW2 files are similar to other RAW image file formats created by digital cameras in that they all exist in those formats in a pre-processed form. Some examples include Sony's ARW and SRF, Canon's CR2 and CRW, Nikon's NEF, Olympus' ORF, and Pentax's PEF. RW2 files can be opened for free with XnView, IrfanView, FastStone Image Viewer, and RawTherapee. Other programs that can open RW2 files but they're not free to use, include Adobe Photoshop Elements, ACD Systems Canvas, Corel PaintShop, and FastRawViewer. Windows users might also find benefit in LUMIX RAW Codec so that RW2 files can open with the default photo viewer built-in to Windows. However, it's said to only work with Windows 7 and Windows Vista. If you need to open the RW2 file in some other program that isn't listed above, the easiest way to do that without having to pay for an RW2 image viewer program is to use one of the file converter tools below. They let you save the RW2 file to a different file format that your program or device most likely supports. Convert your RW2 file to DNG with Adobe DNG Converter. DNG is a more widely used image format than RW2, so chances are it will open in more programs than if you keep it in the RW2 format. Adobe DNG Converter works with lots of other RAW image file formats, too. ILoveImg.com is a free online RW2 file converter that works on any operating system, which means you can convert RW2 to JPG on Windows or on macOS by just uploading the image to that website and then downloading the JPG to your computer. Once your RW2 file is in the JPG format, you can run it through another free image converter program to make it a PNG or some other image file format. A common reason for not being able to open a file of any format, including a Panasonic RAW Image file, is that the file extension is being misread and the file is trying to open in the wrong program. It's important to realize that even when two file extensions are similar, it does not necessarily mean that they can open with the same programs, can be used the same way, or are converted with the same tools. For example, the RWZ file extension shares the same first two letters as RW2, but they're actually Outlook Rules Wizard files that Microsoft Outlook uses to store email rules. RW3 is another example of a similar spelling for the suffix of a file format that belongs to a RapidWeaver 3 Site file; it has nothing at all to do with Panasonic images. It's instead used with macOS RapidWeaver 3 software (newer versions use the .RWSW file extension). ReadWriteThink Timeline files show a similar example, where the RWT file extension might be confused with a Panasonic RW2 file. If the point hasn't been clear yet, just remember that if your file doesn't work with the RW2 viewers or converters from above, you're probably not really dealing with a Panasonic RAW Image file. Check the file extension again; if what you have is something entirely different, research that file extension to learn more about how to open or convert it.